You should be re-directed to another page momentarily. If not, please visit /_assets/pdf/RentalRates_2017_2018.pdf. 2017 Rental Rates Coming Soon! 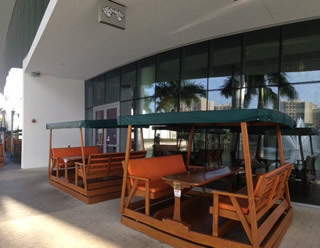 To make a reservation, email ratres@miami.edu or for student events fill out the Student Special Event Form. Please note all catering and rental fees must be paid in full 72 hours in advance or events will be subject to cancellation. Two 6 seat gliders outside the front door are available for reservations. All others are first come first serve. 20% gratuity added to the final bill ($50 minimum). 3 hour maximum after 4 pm Monday-Wednesday and Friday. Please note this excludes Thursdays. 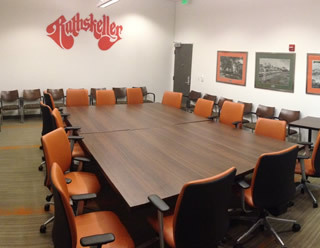 Upstairs meeting space that fits maximum 30 people. Counter Service & Pre-Orders (recommended). Rathskeller Catered/Waited service: 20% gratuity on check ($50 minimum) and must be arranged prior to arrival. 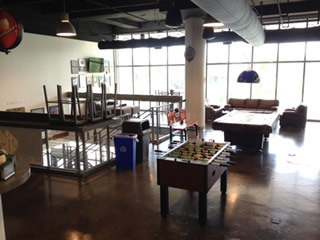 Upstairs loft- capacity of 100 people. Billiard Tables unavailable for parties above 50. 3 hour maximum and only available during regular operating hours.